"Leaflets were sent to every home"
Digital UK has responded to the news that the switchover in the Scottish Borders is leaving some of the more rural areas irritated. The not-for-profit company managing the analogue switch-off in the UK was responding to claims from watchdog Consumer Focus Scotland that 47 per cent of people had not received the 40 channels that those on primary transmitters had been able to get. The report went as far as to state that some customers felt there was a bias against those in rural areas. Responding to those assertions, Digital UK told TechRadar that it was doing its best to ensure that literature addresses people's questions. "We include information on the number of channels viewers can expect to receive in leaflets sent to every home," said a Digital UK spokesperson. 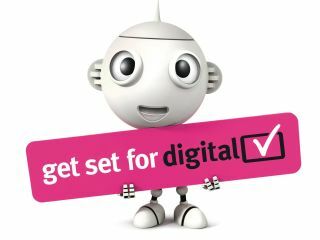 "People can also check the digital TV options and services available in their area via our helpline and website. "The vast majority of viewers in the Scottish Borders coped well with the change but some people did require extra support with retuning their TV equipment. "As a result, we are making information on this more prominent in all of our communications."